The success of any race is measured by the number of people that participate. Although sometimes getting a large group is about repetition and reputation, there are ways to create buzz to increase the number of people who sign up for your event. Gathering a large group is about making your race not just about getting to the finish line, but about feeling a part of an exclusive group and defining who your race organization is and why someone would want to join it. After all, if you, as the race organizer, don’t know who you are and what you have to offer, how are the participants supposed to know? There are several ways that you can promote your race event to increase the popularity of it. Although internet marketing is extremely important, it isn’t everything. The best way to grow your race event is by creating buzz, making it mean something to a niche group, and continually keeping people engaged and in the loop. The best way to get people excited about a race event is to make it mean something to them personally. Obviously, one of their goals is going to be to “win” or to beat their own running time. But, if you allow a portion of the proceeds to go to a charity, or you put a face to your event like running in honor of someone or something, then you are creating an emotional connection to the runner. That not only motivates them to run harder, stronger, and faster, but it also gives them a reason to want to sign up for your event instead, or in addition to, the many others that they have to choose from. From day one of planning your event, you will want to start to compile information about your race’s target audience. If you can start a healthy list, then you can send them email information encouraging them to check out your website and provide them tips for running that will have them frequenting your site. Not only will that keep them in the loop and looking forward to race day, but every time that they return to your race website, that will increase your search engine optimization as a repeat view. If you offer a link in your email marketing to some helpful blog advice on your website, that is even better. Then, you will keep everyone on board and anticipating race day. It’s a small world, and when it comes to runners and races, the world gets that much smaller. If you want to encourage runners to promote your race in runner’s circles, then offer incentives for referrals to signing up for your event. 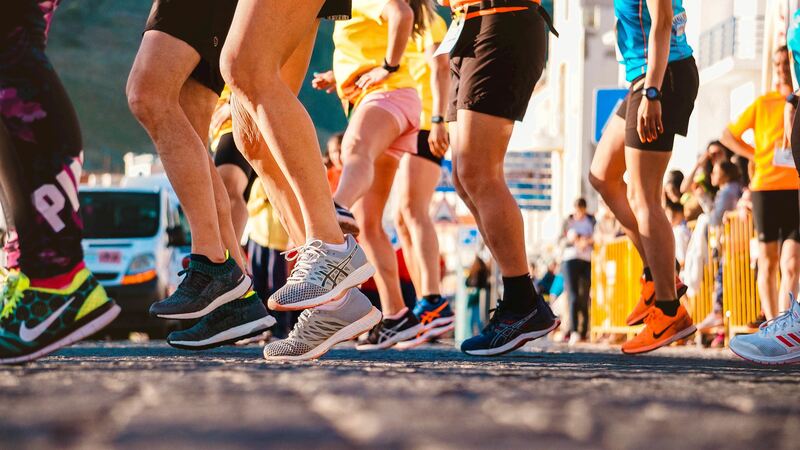 If you offer them things like a free t-shirt, free entrance fees, or other perks, then they have a reason to encourage fellow runners to join in the fun, and that will increase your race participation rate. Races are great for competitors, but having an entire event surrounding the race, means that you aren’t just enticing racers, but that you have activities for those who just want to come and watch to enjoy too. If you want to get more participants, then giving them a reason to bring the whole family along and something fun to do, will make it more likely that you will pull not just from those who are close by, but from those who are looking for an entire family day, or perhaps a destination race. Promote a pre-race night, or an after party, or both. It might be an additional expense, but if you can increase your race participation numbers and promise sponsors that tourism will benefit them too, then you can probably get a lot of the supplies, and perhaps even a venue, to chip in and donate in exchange for the advertising for their own profit. It might sound counter-intuitive to growing a race by making it more exclusive, but when you make something harder to be a part of, everyone wants in. If you make your race only available to an exclusive group like those who qualify or a specific niche, you might limit those who don’t fit into the category, but you will make it something that is super alluring for those who are looking for some competition and to say that they ran something that not everyone could. If you want to increase your participation rate, reach out to race websites - as Worldsmarathons.com. When a runner is looking for their next competition they often go to a number of web pages that list all the available events in their area and beyond. Make sure to get exposure on as many of those race sites that you can to reach the biggest audience. Even if there is a small fee, if you can entice athletes to your event then it is a small price to pay. Sometimes a race becomes highly popular because it takes on a life of its own through tradition. But, if you don’t want to wait several seasons to increase your race popularity for both those close by or to pull from those that aren’t close at all, then try some of the above tactics to make your race something that people can’t wait to get into.